Home » Blog » What are electronic component alternatives? What are electronic component alternatives? Electronic alternatives are simply equivalent components. They look the same and offer the same level of quality as the leading manufacturing brand, but are usually cheaper. Service: Sometimes designers or procurement buyers have had a bad experience with a particular supplier. They still want or need the same product but would prefer to deal with a different supplier. When they contact us, they are delighted to discover that we can nearly always offer or source an identical product, with the same quality standards, but often with lower MOQs and a more personal service from our friendly team in Hampshire. Cost: Sourcing alternatives usually results in a lower product cost price. For example, in a recent case study, we sourced a bespoke cable assembly that combined specified and approved Molex and JST components alongside Chinese connectors and service, which saw a 25% reduction in cost, compared to that of a UK cable. How is the quality of alternative components monitored? At Leotronics we take quality of our components very seriously. We work with some of the world’s leading electronic component manufacturers such as CviLux and Leoco and over the past 20 years have developed great working relationships. All of our suppliers are required to be UL Approved, which is the industry benchmark for electronic component quality. We also visit our suppliers regularly to ensure specifications are met and tolerances are observed. What components have alternatives available? Leotronics has developed a catalogue of over 3,000 alternative components. These mainly fall into two broad categories: cables and connectors. 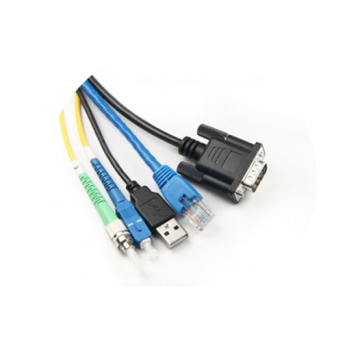 We offer alternatives for most Molex, RS, JST and Samtec connectors and if we haven’t already sourced a direct equivalent, we will work with our manufacturers to develop one. Simply contact us with your part number and we’ll get back to you within 24 hours with the options.